There’s nobody more iconic in Las Vegas than Elvis, so there’s no tour of Las Vegas more appropriate than one with the King himself. 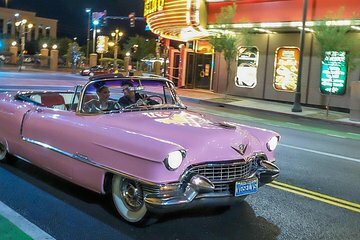 See Las Vegas through Elvis Presley’s eyes on this 1-hour private tour, where you ride in style in a 1955 pink Cadillac convertible. Visit the city’s famed landmarks,take photos at the neon Welcome to Las Vegas sign, Fremont Street, Pawn Stars and Wedding Chapels.